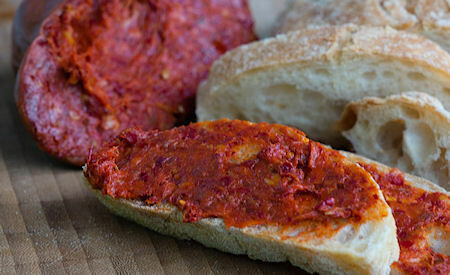 The Presurfer: What Is Nduja And Why Is It Suddenly On Every Menu? When chef Francesco Mazzei put nduja on the menu in London back in 2006, he had to add a note explaining what it was: a spicy, spreadable sausage from his native Calabria in southern Italy. Now, nduja is showing up everywhere: on pizza, stuffed inside squid, sprinkled in pasta dishes and even on supermarket shelves. For instance in the form of "sorpressata" or "nduja".